We are very honored to have Bugaboo Stamps as our Sponsor from Jodie Mackrell this week! 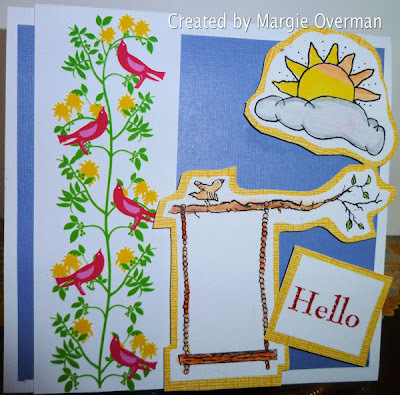 Here is my Journal Cover created with the beautiful Digital Stamp provided by Bugaboo Stamps! 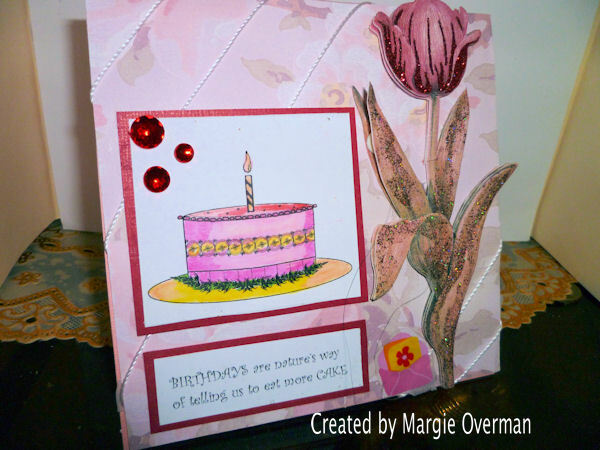 Don't forget to visit Sew Many Cards Challenges Blog for the wonderful challenge this week! 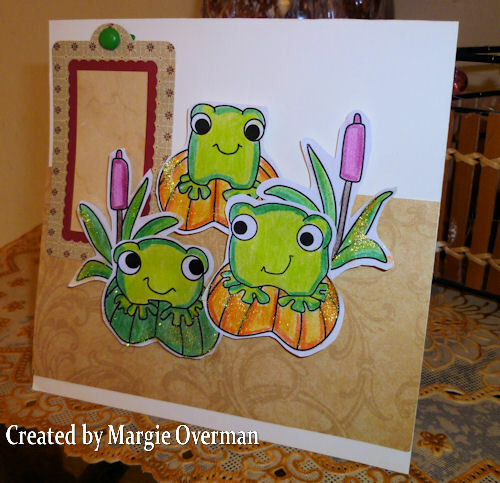 Visit also Sew Many cards Store for the wonderful Digital Stamps created by Angela! Today is Sew Many Cards Sponsor Challenge! 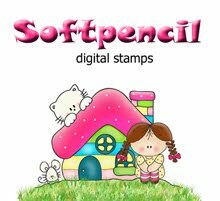 We are very happy and honored to have Soft Pencil Digital Stamps as our sponsor this week! 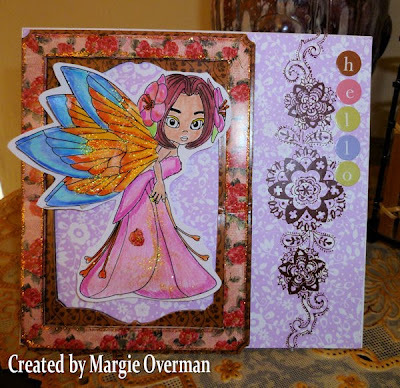 Check also the Soft Pencil Digital Stamps blog for wonderful challenges and news about the new releases! My illustrations are a homage to the Nature and their creatures, where a sweet child, a simple flower or a fragile animal become protagonists. 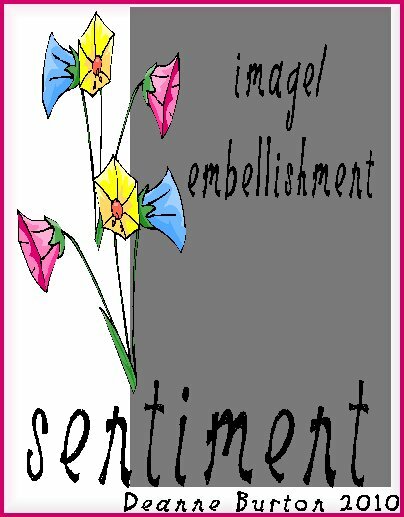 I invite you to know my whimsical world plenty of gorgeous characters and to enjoy creating with them!" Now here is the card I created with the fabulous Digital Stamp "Two Cute Musicians" provided by Soft Pencil Digital Stamps! 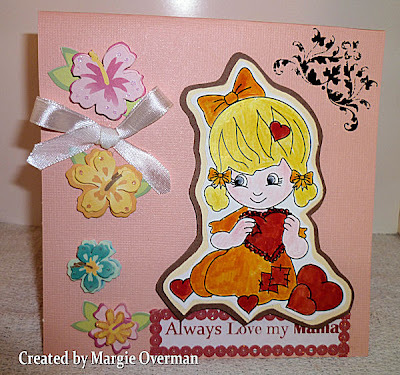 Visit Sew Many Cards Challenges Blog for the super fun challenge this week! 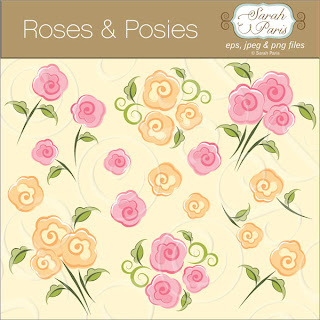 Check out the fabulous New Released Digital Stamps by Angela this month at Sew Many Cards Store! 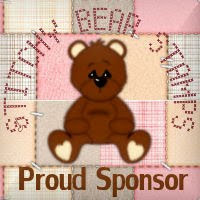 This Week's Sponsor is Stitchy Stamps! Our Sponsor this week is the fabulous Stitchy Stamps which has a fabulous prize for a winner this week! The random winner this week will get 3 free Digi Stamps of winners choice from the Stitchy Bears Store! Check out this Card that I created with the beautiful image SS_Butterfly Love provided by Stitchy Bear Stamp store! Check out Sew Many Cards Challenges for the awesome challenge this week and check out the Sew Many cards Store for the fabulous New Releases that Angela created this month! 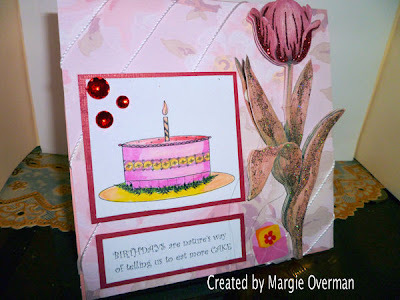 I'm so excited with this new Embellishment Challenge I'm hosting this week at Sweet Stamping Treats. The Embellishment you're supposed to use for this challenge is Flowers! It can be Real pressed Flowers, Silk Flowers, Paper Flowers...just be creative! There are so many wonderful inspirations! I wanted to do smething different this time. That's why I created a Bookmark. 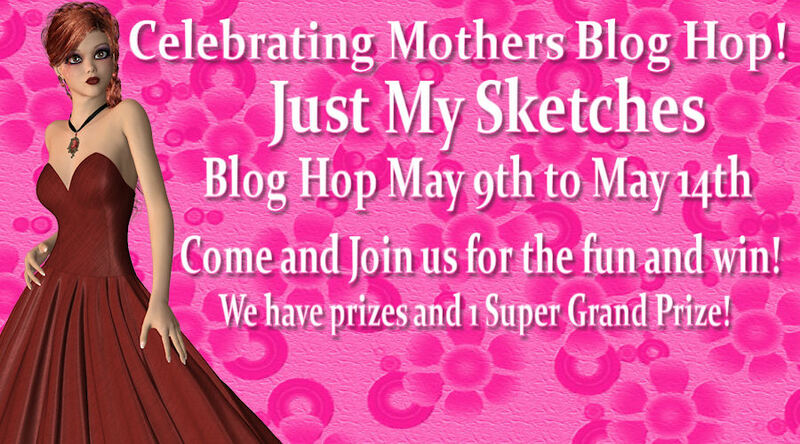 We at Just My Sketches are Celerbating Mothers and we have some awesome prizes!! As usual we have a Songlist and a Sketch by Deanne. You need to Hop by each Blog to get the words needed for the Quote! Quote and send it to the email provided at Just My Sketches Blog for a chance to win the prizes below. If you're here, that's because you came by the blog from Stephanie! Now it's time to tell you ablout the Prizes!! There are 18 stops along the way, some have blog candy up for grabs (but you'll have to find them for yourselves we don't want to ruin the fun!). In your travels don't forget to collect the words to complete the quote and take it back to Just My Sketches & the Blend to enter the major prize drawing worth $30! Stephanie (see above) then your next stop will be Ann. Just click on Ann's name below. Hop to the next Blog from Ann to collect the final words for the quote. 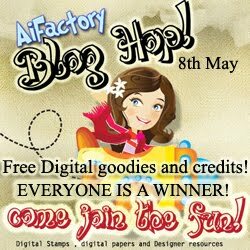 AI Factory Blog Hop Today! See my Card Candy!! Today is AI Factory Blog Hop!!! If you arrived from Terrie 's blog then you are on the right track! If not, go to the Aifactory Challenge Blog and start at the beginning. 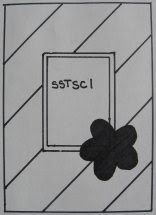 We are playing unscrambled phrase where on each blog you will find a letter that all together will be the completed phrase. 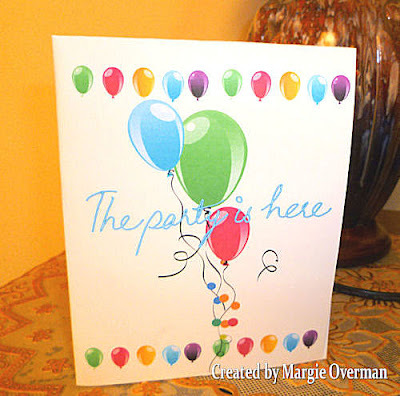 Here is my Card Candy with the fabulous New Release "Birthday Party Clip Art" from AI Factory!! I created my card in Corel Paintshop Pro and printed it on heavy Photo Paper! This is called a Hybrid Card- created on the pc and printed out on Photopaper. Your next Blog Stop is Tammy's Blog! Check out the fabulous prizes that you can win!! You need to leave a comment on each blog from the DT to be able to win a fabulous $20 Gift Certificate! 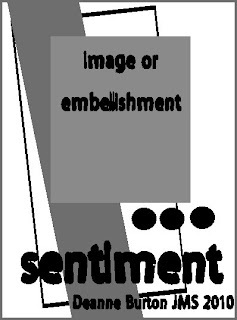 Find each letter on the blogs from the DT to be able to win $10 Gift Certificate in a random draw from all the correct entries. Random freebies scattered throughout the hop...so make sure you visit all of our blogs to get freebie surprises!! NEW Releases from The Character Cafe! Card Candy today! Blog Hop! The Character Cafe is having amazing New Releases today! If you came from Lola's Blog to my Blog then you're on the right track! Check out the other fabulous creations from the Design Team! Ways to win during this Blog Hop!! Participate by create a card with the free Digital Image at The Character Cafe! 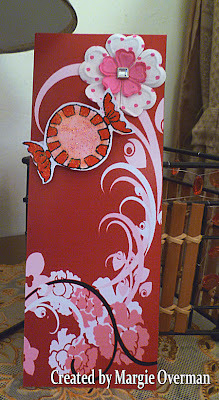 You will have a chance to win the Digital Stamp I created this card with, by leaving comments on my blog! The Digital stamp is super cute, isn't it! The draws will take place on Thurs. at 10pm and posted prior to the Feature Friday next week. 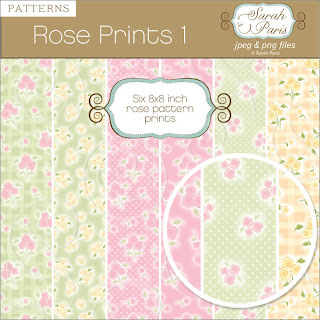 this week to show the New Release Digital Stamps from Sarah Paris Designs. Today is Mother's Day Blog Hop at Sarah Paris Style with new Fabulous releases! 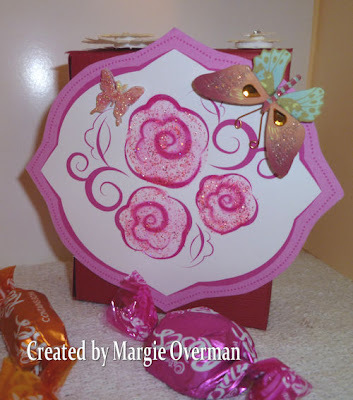 I created a Mini Candy Box with the beautiful Digital Stamps "Roses and Posies" and I had so much fun creating this project! 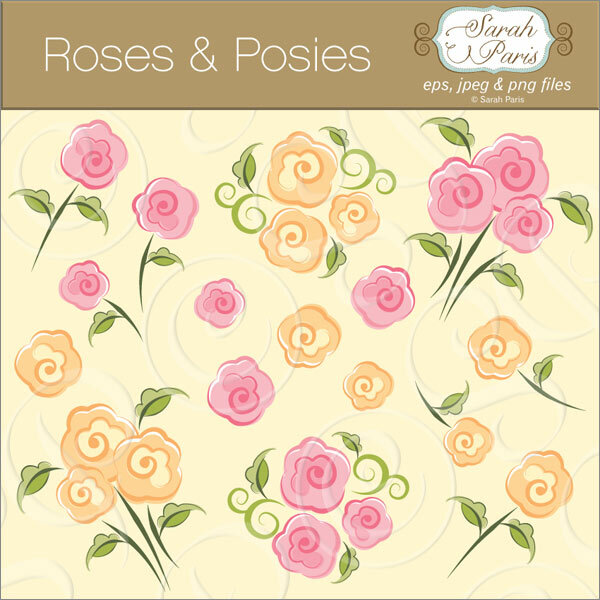 Now here are the fabulous Digital Stamps and Digital Papers released this month! 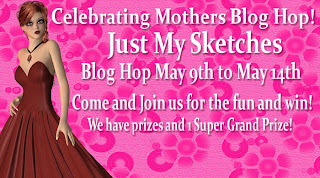 Win fabulous prizes with this Blog Hop! Here is the preview from the Fabulous prizes! Today is Product Review Monday! Well, I found one that I would like to highlight today! It cleans any polymer clear stamp or Acrylic stamp thoroughly! 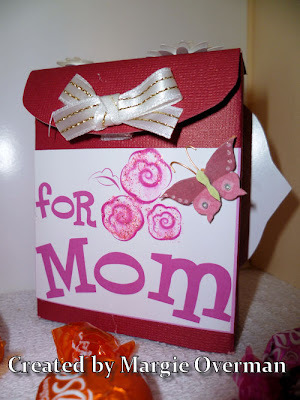 Just wipe off the excess from the stamp and you can already store it away! It has a dabber top. Next week there won't be a product review, but stay tuned, because Product reviews will be back in 2 weeks. 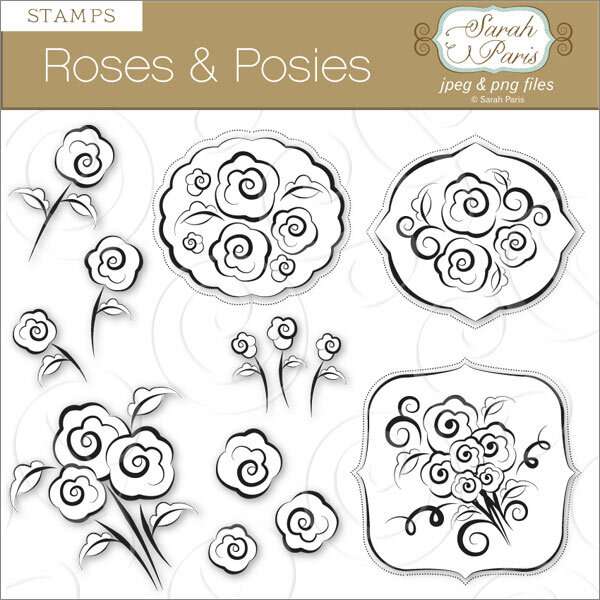 Sweet Stamping Treats is having a freebie!! Today only!! 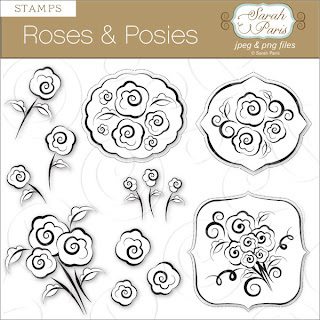 Check out Sweet Stamping Treats for a FREE Digital Image available only today!! Hurry and check it out! 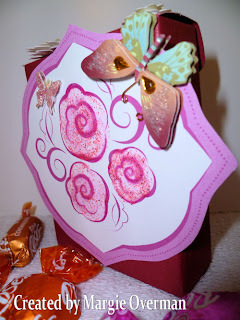 Sweet Stamping Treats- New Card Candies and New Releases Today! The New Released images are awesome!! I've created 2 Cards for each challenge. The First one is the Sketch Challenge! with the Sketch provided by Brandy! Now we have 1 more challenge and that is the Color Challenge!! 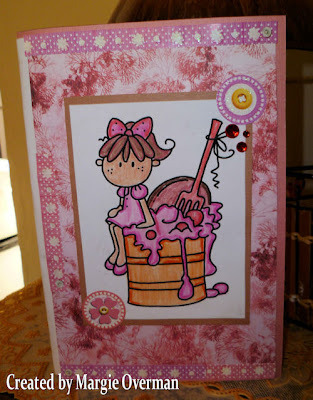 Each Card Candy is created with the New Digital Stamps available at Sweet Stamping Treats! Just My Sketches: Card Revelaed!! 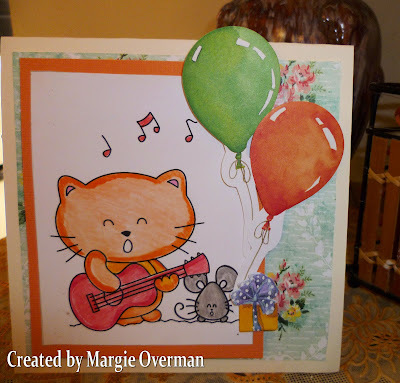 It's time for an awesome sketch from Deanne at Just My Sketches and the songlist to get you all inspired to create Cards or any Hybrid Project you would like to create! The Digital Stamp I used is Hershey with Angel from SMC Store. The Sentiment is from the song I believe in You.